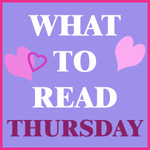 Lorraine Paton: Judith Duncan - What to Read Thursday! This week I decided to highlight the work of a woman who has been a huge influence on my writing: Judith Duncan. I met Judith when I joined the Alberta Romance Writers' Association. As I mention in the acknowledgements of my book, Judith was the first person I'd ever met who had not only published one book but multiple books. I was in awe, and probably still am. Judith has been incredibly encouraging of my goal to write and publish, and I love chatting with her over a cup of coffee. Although she has not published recently, Harlequin has begun to re-release some of her earlier work in digital format and those are what I'm showcasing today! from rescuing his brother’ s widow and her two children. From the moment he’ d laid eyes on Abigail, he’ d wanted her, but she wasn’t his to have. 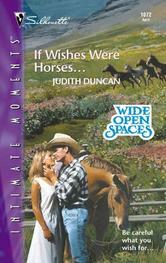 And now he’ d moved his forbidden love onto his ranch, where the secret between them had nowhere to hide… . Every time he tousled Cody’ s hair, every time he cuddled little Miss Sarah, he was reminded of impossible wishes… and a gift given out of love. But honor demanded he not claim for his own what was never meant to be— unless, of course, Abby wanted the same thing… . Blurb: Passing your fortieth birthday didn't mean you had to go off the deep end, did it? But there was no other explanation for the fact that usually sane single mother Maggie Burrows couldn't keep her thoughts—or her hands!—off a man who was nearly ten years younger than she was…. Of course, Tony Parnelli was drop-dead gorgeous, with a body that could melt the most sedate woman right down to her sensible shoes. But he was black leather and motorcycles, and she was mortgage payments and nine-to-five. Still, the tension between them could light up the sky—if only Maggie dared to believe in Tony…and herself…. Finn Donovan was as hard and unyielding—and as dangerously compelling—as this land he called home. And he had sworn to keep her safe, whatever the cost. But she wanted more from her guardian. She ached to know the secrets of his shadowed past—even as she longed to share his future. Murphy Munroe was shocked to realize that he wanted to be with his tiny, precious son around the clock. Bedtime stories, midnight feedings…Murphy couldn't bear to miss a single moment with his child—or its mother. 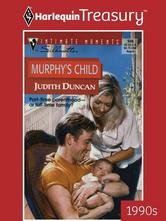 That was the problem… Murphy desperately longed to take care of Jordan Kennedy and the baby…forever. But they couldn't make their relationship work before parenthood complicated things. How could they even think about marriage now? Then again…how could they not? I met Judith Duncan once - and heard her speak as well - long ago. I too admire her and her speech was completely motivational and helpful. She is definitely a hero(ine) to look up to. I agree.